In The Power of Systems (Cornell University Press, 2016), Egle Rindzeviciute introduces readers to one of the best-kept secrets of the Cold War: the International Institute of Applied Systems Analysis, an international think tank established by the U.S. and Soviet governments to advance scientific collaboration. 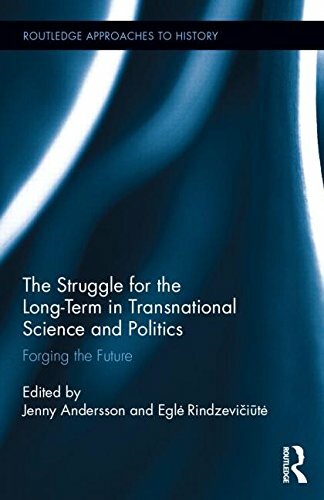 From 1972 until the late 1980s IIASA in Austria was one of the very few permanent platforms where policy scientists from both sides of the Cold War divide could work together to articulate and solve world problems. This think tank was a rare zone of freedom, communication, and negotiation, where leading Soviet scientists could try out their innovative ideas, benefit from access to Western literature, and develop social networks, thus paving the way for some of the key science and policy breakthroughs of the twentieth century. Reviewed in: American Historical Review, Slavic Review, Isis, Baltic Worlds, Lithuanian Historical Studies. 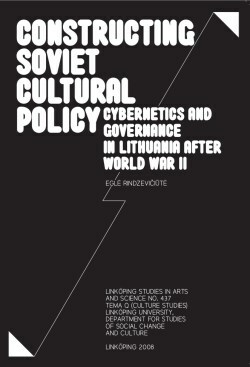 Constructing Soviet Cultural Policy: Cybernetics and Governance in Lithuania after World War II (Linköping University Press, 2008). Reviewed by Barbara Czarniawska in Baltic Worlds.